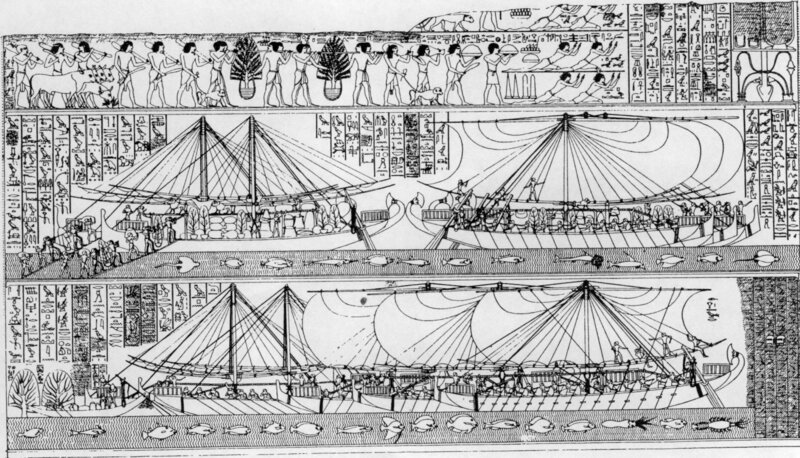 A short break from the narrative history, as we dive deep into the texts of Hatshepsut’s Punt Expedition, and the historical narrative from her temple in Middle Egypt, the Speos Artemidos. Fish of the Red Sea (Saint Louis Community College). James H. Breasted, Ancient Records of Egypt, volume II, 1906. Edouard Naville, The Temple of Deir el-Bahari, volume III, 1898. James P. Allen, The Speos Artemidos Inscription of Hatshepsut, Bulletin of the Egyptological Seminar 16, 2012. In the pharaonic period…no, they don’t seem to have had these. That may change in the Greco-Roman period, but I’m not sure (yet!). An episode on weapons and armour would be great, thanks for the suggestion. I’ll put one together for release at some point during the reign of Thutmose III, who led many campaigns. So keep an eye out for it!